This video was a spinoff from this video. The original video has spawned a bunch of spinoff videos, go to youtube and watch them if you're bored. Being the analytical gal I am, I categorized her "sh*ts white girls say" into 25 different ideas, and thought it might be fun for y'all to guess how many of those things have actually been said to me. Ok, guess. Twelve. I've heard them from classmates, friends, acquaintences, strangers. Not all by white girls, but all by white people. One she should have added was, "Do you know/You remind me of insert name of black person speaker knows here ?/." And it's always within 3 minutes of meeting me for the first time, which is kind of random. I'd say they the comments in this vid fall into the category of racish. They strike me as things that things that people say without thinking. Probably no ill will intended, but annoying nonetheless. I will also say that I would rather have someone make comments like this, than be so afraid of offending me that they say nothing, and just act all weird. How does the number that have been said to me match up to your guess? If you're white, how many of these things have you said? What was the motivation behind it? If you're black, how many things have been said to you? How do you typically respond? If you're neither white nor black, how does it feel to have things so often framed as black/white issues? Oh, and if anyone has questions about specific comments like "Why is saying 'I don't like rap music' annyoing?" Leave em! Remember, this blog was gonna be called askablackperson.com, so don't be shy. Why some people don't want to vote for Mitt Romney. This is another one of those posts that I have been unsure about writing because I am talking about a marginalized group that I am not a part of. It's always best to tread lightly on such issues, but I have been thinking about it for awhile and decided to just go ahead. 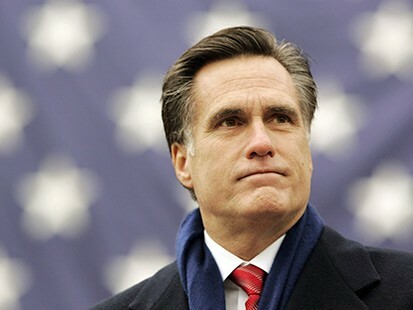 I think the major reason some people don't want to vote for Mitt Romney is because he's a Mormon. Everyone knows he's a Mormon and it has been said to be something of a factor, but in the media this is not presented as a major factor as to why people don't like him/don't want to vote for him. However, there are some experiences that I've had in my own life that lead me to this conclusion. I grew up in a town that has been described as the "Evangelical Christian capital of the world." Yes, really. One day after school (I was a junior or senior in high school,) I was looking at the classified ads in our local newspaper. I have no idea why, this was not something that I did on any sort of regular basis. Anyhoo, I saw a small ad in the paper that said something like, Are you Mormon? If so, call this number: 555-1234. I was not (and am not) a Mormon. But I was (and am) a very inquisitive person, and it was a local number, so I decided to call it. What I heard after the line stopped ringing was a 2-3 minute recorded message. I don't remember the specifics, but the gist of the message was that being a Mormon was very, very bad. The person was quoting bible verses (and maybe verses from the Book of Mormon?) and I do remember hearing the word "Antichrist." I also remember at the end of the message the voice said, real ominous-like, that if I didn't repent, I was going to "burn in hell." Then the message ended. I still remember all these years later, standing by the dining room table, holding the phone like, "WTF? Did that just happen?" Well, we didn't say "WTF" in the mid-90's, but you get my point. So that's my story. Now, lets look at what's going on with this election. Does anyone else think it's weird that the Republicans have gone through every other candidate pushing him or her to second place to go up against Romney? With the exception of...the other Mormon candidate, Jon Huntsman. On the news tonight, I heard that the only person polling as high as Romney for the nomination is "Someone." As in, "someone else that hasn't been determined yet." Basically, anyone but him. You have to wonder why that is. Now, you can call him a flip-flopper, or a rich guy or whatever else, but c'mon, really? When people are this desperate to find an alternative, I think there's gotta be something more deep-seeded at play. And another thing: When that pastor who was introducing Rick Perry at an event called Mormonism a cult, Rick Perry didn't even admonish the guy! You know why? Because Perry knows a lot of people agree with that pastor, and Rick Perry wanted their votes! And this is the problem, my friends. I feel like one of the major takeaways from the Civil Rights movement was not that it was not okay to have bigoted thoughts and feelings, just that it was not okay to talk about them publicly. So that is why you have people scrambling to find an alternative to Romney, without them being able to pinpoint a reason why. Just like you had people in 2008 who'd voted Democrat all their lives not wanting to vote for Obama because "there was just something about him" that they didn't like. Let's just cut the crap, mmmkay? Because if people would just say, "I don't want to vote for Mitt Romney because he's Mormon." then we could have a dialogue about it. We could learn and grow as human beings. But if people are not honest, nothing can change. We need to stop punishing people who have the courage (or naivete) to say things that aren't politically correct. We need to engage, ask questions, go there. Because if we don't go there, we're just gonna be here. A few final thoughts: I don't think evangelical Christians as a group are bigoted and closed-minded. I don't even know that the person that made that recording I listened to in high school was an evangelical Christian. Also, I know a little bit about Mormonism and a little more about cults, and I can tell you that it is not a cult. Too many people think, "anything that I don't believe in" can be labeled a cult and folks, that's just not how it works. Comments? Feel free to leave them. I wanted to post this video several Mondays ago, but blah blah excuse blah--here it is. Be warned, it has a lot of profanity. If you'd like to follow along with the lyrics, you can click here. Now, I know some of you don't like Kanye West. I don't think he really cares. I like this song for a number of reasons: the beat, the movie clips and of course, the rhymes. I haven't really liked anything Jay-Z has put out since he retired a few years ago and unretired three weeks later. But this song has made a believer out of me once again. I also think Kanye's line, Prince Williams a'int do it right if you ask me, cause I was him I woulda married Kate and Ashley has got to go down as one of the top rap lyrics of all time. He name checks 4 people in one line, one of whom is the future King of England. I don't know that it gets much better than that.